Why was working with a school important? Why did you choose the school you did? 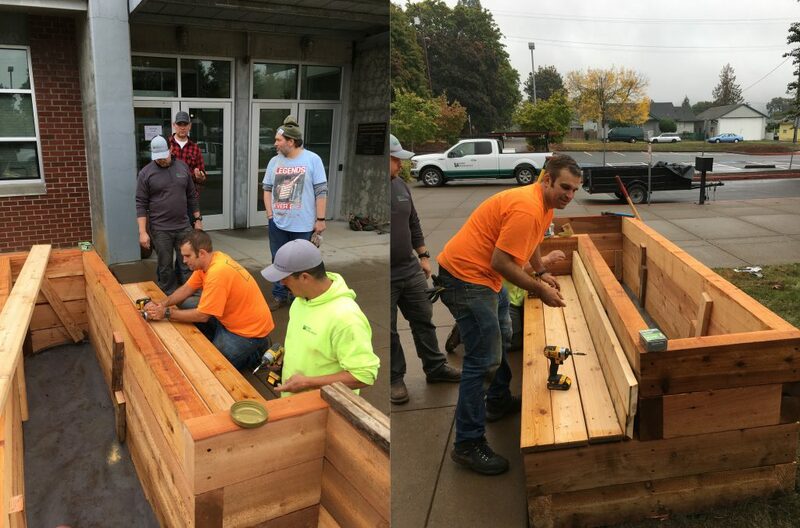 While my previous experience volunteering on a school project was the inspiration, I ultimately wanted to work outside of Portland, as these schools typically have fewer opportunities for design professionals to volunteer in various capacities compared to more urban schools. One special aspect of this project is that Kirby Nagelhout Construction Company (KNCC) agreed to partner with me, generously contributing matching funds and labor. 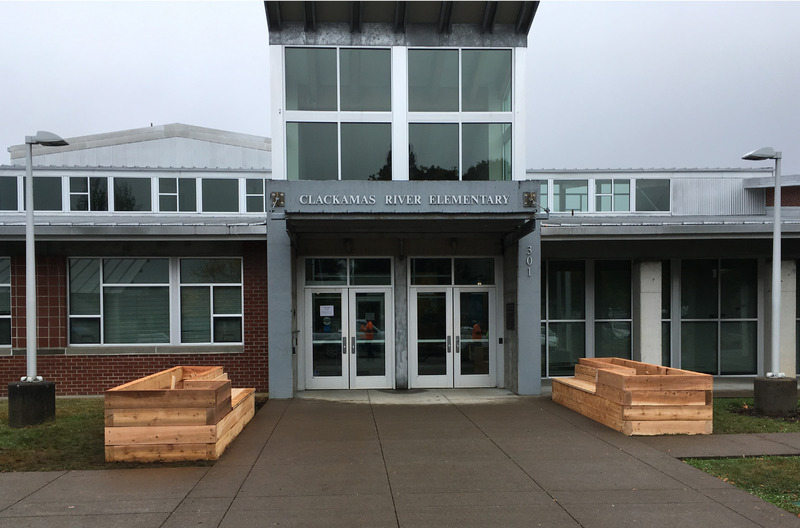 Chris Prahl, Division Manager at KNCC, introduced me to Clackamas River Elementary School because his aunt and uncle work for the Estacada School District. After an initial conversation with the school, the project was going to be an improvement to a walking trail, with possible new benches and tables. 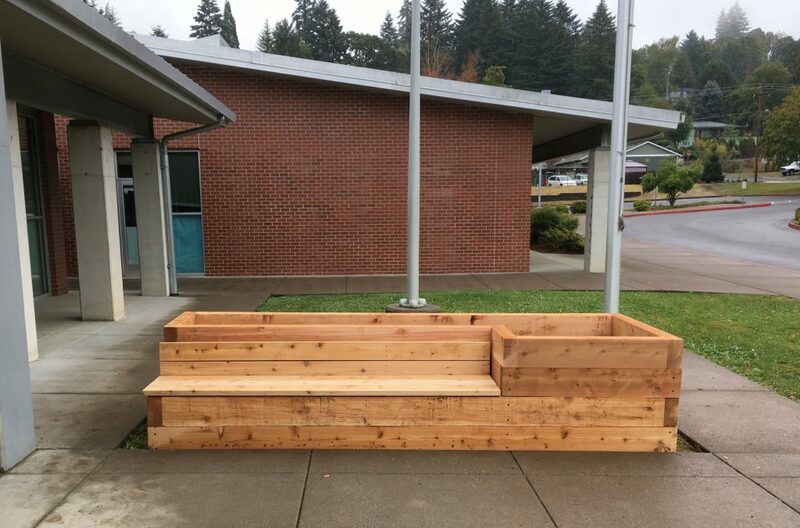 The project eventually shifted to support a larger food bank effort at the elementary school, and they requested we build raised planters to support the program. During my site visit, I noticed the school’s main entrance could benefit from a place to sit and some definition. I used this as an opportunity to try to solve some of those issues while providing the requested planters. What was your overall process? How long did the project take? 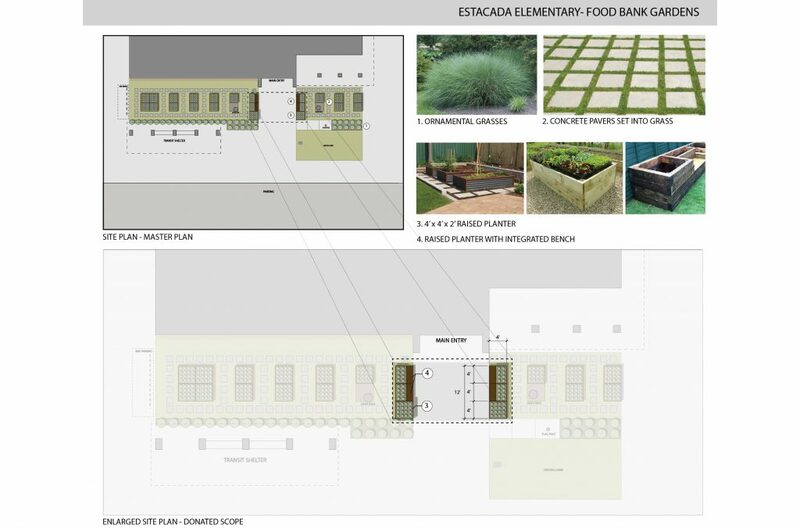 After meeting with the school’s principal, Amy Hudson, and communications coordinator, Maggie Kelly, I came up with an overall master plan concept and designed the planters. 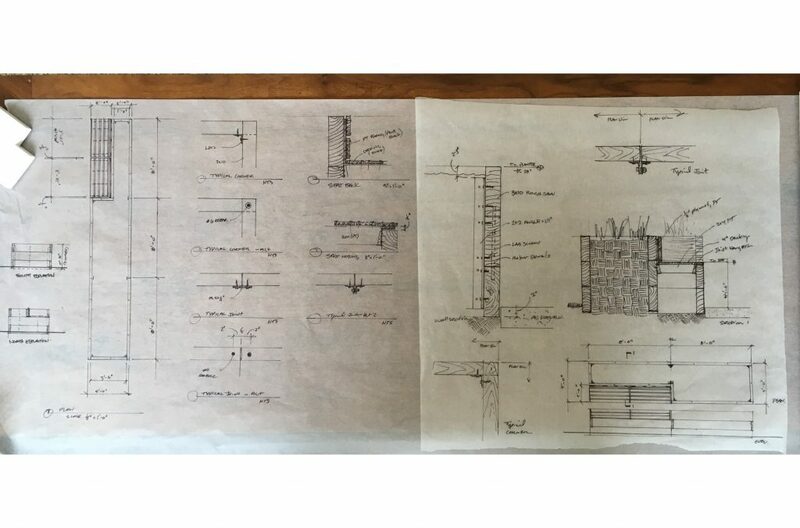 KNCC provided valuable input on constructability along the way – the design transformed slightly and for the better while we were fabricating it, with the rough carpenters providing good input. 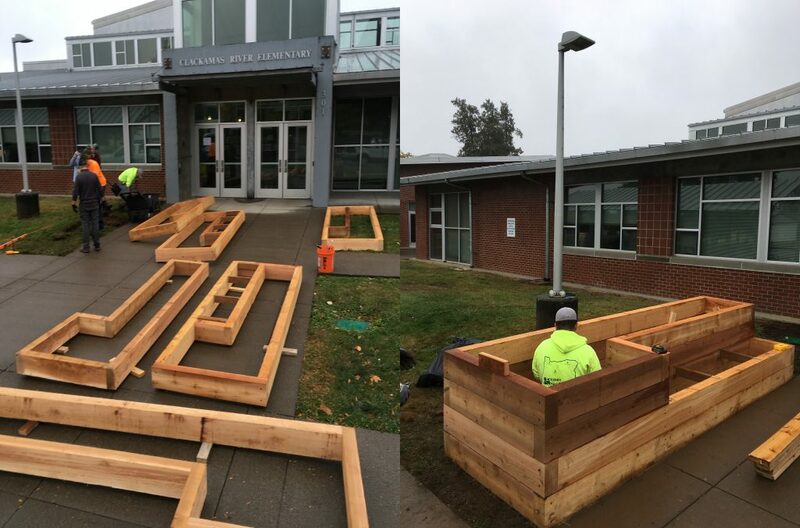 The entire effort took around 40 hours, which included designing, fabricating, and installing the planters – and of course KNCC contributed their time, too. What lessons did you learn, and what advice would you give to a future Hennebery Eddy Community Service Scholarship applicant? Getting others involved is a great way to make resources go further. The KNCC team was generous with their time and input, helping coordinate labor, material ordering, and other miscellaneous parts and pieces along the way. The whole effort exceeded my expectations! Construction is expensive, and the funds did not go as far as I had hoped. The master plan helped to make the vision feel complete, while helping to prioritize the pieces that would give the most value in the short term. Thank you to KNCC – they were an incredible team player, especially the two carpenters who did the fabricating. I couldn’t have done the project without their assistance. Also, thank you to Jon McGrew in our office for helping with the install. 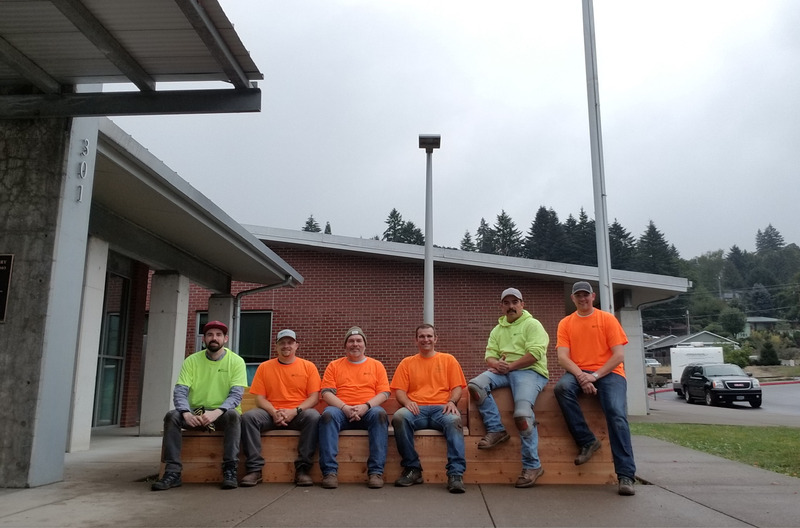 And most importantly, thank you to Clackamas River Elementary School for allowing us the opportunity to do something impactful for their community. We can’t wait to see your garden grow! The Hennebery Eddy and Kirby Nagelhout community service team.